The Israeli Occupation Forces (IOF) continued investigation into the shooting that took place Monday in Idna town in al-Khalil, which led to the killing of the Israeli military official Baruch Mizrahi. 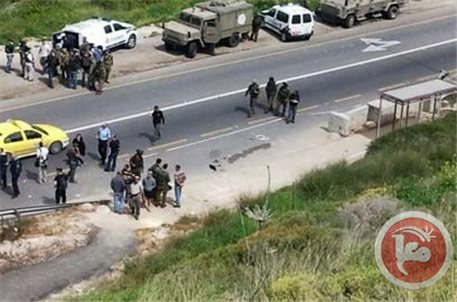 Following the incident, IOF soldiers started surrounding Idna town in a failing attempt to arrest the suspicious, Israeli Walla Website said. Israeli army intelligence Unit has directly investigated in the incident in collaboration with the General Security Service Shin Bet. The Israeli security services still doubt whether one or two persons are involved in the shooting, according to the Hebrew website. There is contradicting news whether the shooter left the scene via a motorcycle or a car, where he shot at a distance of 700 meters. Evidences proved that the shooter was moving while firing as empty bullets were discovered on both sides of the road, the sources added. Prime Minister Benjamin Netanyahu pinned blame on the Palestinian leadership after a deadly attack on an Israeli police officer near the flashpoint West Bank city of Hebron. "This assassination is the result of the incitement to hatred by Palestinian Authority leaders who continue to peddle hate-filled material against Israel," Netanyahu charged on Tuesday. He said that this attitude had led to the murder of "a father driving home to celebrate a Passover dinner" on Monday, and deplored the lack of condemnation of the attack by the PA.
Israeli police said Tuesday the policeman killed was Baruch Mizrahi, a 47-year-old father of five who was a high-ranking officer in the intelligence division. Israeli troops scoured a village near Hebron on Tuesday, a day after a gunman killed Mizrahi in the area. The killing at the start of the Jewish Passover holiday was the first deadly attack this year on an Israeli in the occupied West Bank. It came at a time of high tensions over the near-breakdown of US-brokered peace talks between Israel and the Palestinians. The army searched several houses and businesses close to the scene of the killing southwest of Idhna, a village outside Hebron, residents told AFP. They said soldiers roughed them up while searching homes, and added that army checkpoints set up around Idhna were still in place. The army said it was "conducting widespread searches for the perpetrators" of the attack. Mizrahi's wife was seriously wounded and a nine-year-old child also hurt. Three other children were in the vehicle, according to Israeli military radio. Israelis in another car said they saw a man wearing a helmet and firing a Kalashnikov assault rifle on the side of the road. Army spokesman Peter Lerner said it was unclear if the attack was carried out by a single shooter or with accomplices, or if it was the work of a "local terrorist organisation." Hamas and Islamic Jihad praised the attack. It linked the assault to unrest in the flashpoint Al-Aqsa mosque compound in Jerusalem, where five Palestinians were arrested by Israeli police on Sunday. But neither group claimed responsibility. Hamas prime minister Ismail Haniyeh called for "Palestinian resistance in all its forms" against Israel at a news conference, in which he also praised the shooting and urged the kidnapping of Israeli soldiers. The city of Hebron is home to nearly 200,000 Palestinians. Around 80 settler homes in central Hebron, housing about 700 Jews, live under Israeli army protection. Israeli Haartz newspaper said Monday night that coordination is going on between the Palestinian Authority (PA) in the West Bank and Shin Bet security forces to arrest the shooter in al-Khalil’s operation. According to the newspaper, Israeli security forces will be handing data about the operation to PA so as to carry on investigation procedures. Adnan Damiri, a PA security spokesman, kept Israeli Occupation Authority (IOA) updated about the lack of necessary data about al-Kahlil’s operation that took place west of al-Khalil, according to Haartz. 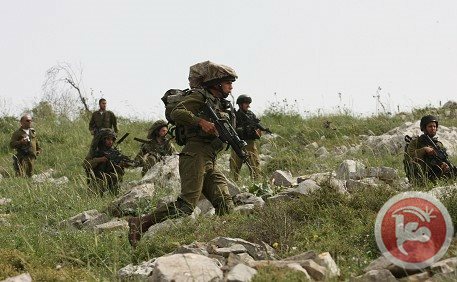 An Israeli settler was killed while four others were injured following an operation executed by the Palestinian resistance on Monday evening, targeting a vehicle carrying a group of Israeli settlers west of al-Khalil. Israeli PM Benjamin Netanyahu expressed earlier his deep concern over the escalation of operations carried out by the Palestinian resistance in the West Bank. 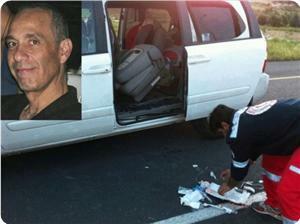 Israeli radio declared Monday morning that the attacker opened fire at two vehicles carrying settlers. A large number of Israeli Occupation Forces are still imposing a security cordon on Edhna village, west of al-Khalil, under the pretext of searching for the wanted shooter, as further maintained by the radio. 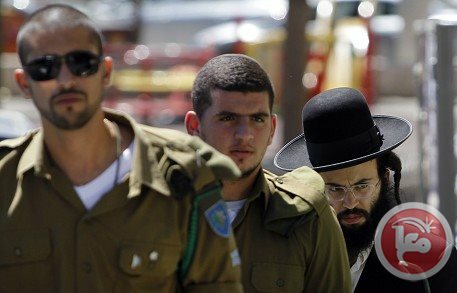 Suspects hurled Molotov cocktails at a nightclub in an Israeli settlement in northern East Jerusalem late Saturday, police said. Israeli police spokeswoman Luba al-Samri said in a statement that a nightclub in the French Hill settlement was targeted with four Molotovs around midnight. One of them started a fire in a courtyard, but no injuries were reported. Police arrested three young Palestinian suspects, al-Samri said. 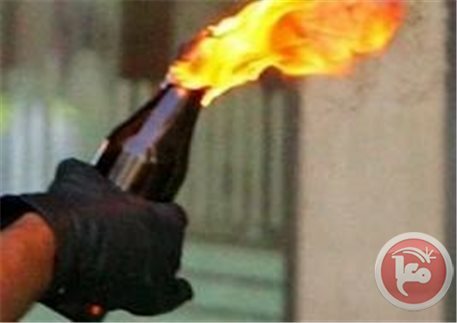 Palestinian youths threw Molotov cocktails at an Israeli military checkpoint south of Nablus on Thursday, Palestinian security officials told Ma'an. The youths targeted a flying checkpoint near the village of Madama which was set up after firebombs were thrown at a settler bus. 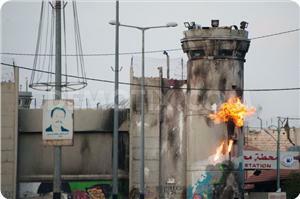 Israeli soldiers opened fire at the youths and reserve forces arrived to search the area. 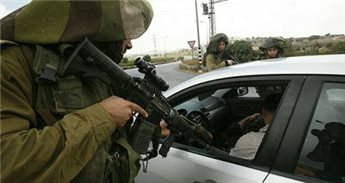 A Palestinian man attempted to shoot an Israeli settler near Ramallah late Tuesday, Israeli media reported. Hebrew-language news site Walla reported that a Palestinian man tried to shoot a settler in his car, which was parked near the Jabaa intersection. A technical glitch with his weapon prevented the Palestinian from shooting the settler, and instead the former ran away, the report said. Israeli police arrived at the scene and searched the area, it added. Police launched investigation after finding inconsistenices in story by soldier who claimed to have been stabbed by three Arabs in Pisgat Ze'ev neighborhood. An IDF soldier who claimed he was stabbed in the leg by three Arab assailants in Jerusalem told police Thursday that he had invented the story. Police launched an investigation into the claims after spotting inconsistencies in the soldier's story of an attack in the Pisgat Ze'ev neighborhood, and officers were questioning him when he confessed. It was initially reported that the soldier had been taken to Hadassah Medical Center on Mount Scopus with light leg wounds, but it later became clear that he was suffering from a superficial injury and had in fact stayed at home. Police initially said that they believe the attack to have had a nationalistic motive, and there has indeed been a spate of knife attacks against Jews in Israel in recent months. Earlier this month, a haredi man in his 30s was stabbed at the entrance to Petah Tikva. The man sustained moderate injuries, and received assistance from drivers in passing vehicles. Police suspect that this had also been a nationalistic attack. In January, a Border Police officer was stabbed in Jerusalem by a 16-year-old Arab girl, and sustained light wounds. 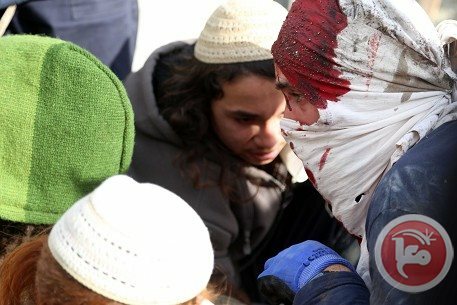 And in November, a Jewish youth was was stabbed in his back by two Palestinians in the Muslim Quarter of the Old City, as he was leaving the Western Wall. The Israeli soldier who was allegedly stabbed this morning has admitted to the police that he made up the story, reports Haaretz. In his first version of events he declared he had been attacked by a group of Arabs in the Pisgat Ze'ev settlement neighborhood in East Jerusalem. He told the police that three Palestinians had stabbed him in his leg and he was treated at the scene by Magen David Adom rescue personnel. After this, the Israeli police carried out a large search campaign in the city and said that they believed the incident had a "nationalistic motive". However, Haaretz reports now that the Israeli soldier has admitted he was not stabbed, or even attacked, and that instead he just fell. As he was being interrogated this by the police for a second time he told the police the whole story was made up and that no such attack had taken place. An Israeli soldier was stabbed and lightly injured in Jerusalem on Thursday, Israeli media reported. The incident took place near the illegal East Jerusalem settlement of Pisgat Zeev, Ynet reported. The attackers were allegedly Palestinian and Israeli police said they believe the incident had a "nationalistic motive." The Israeli soldier sustained injuries to his legs and was treated at the Hadassah Medical Center. Israeli sources alleged that a police officer was stabbed, and mildly injured, in Pisgat Ze’ev, in occupied Jerusalem. The police said three Arab men carried out the attack. Israeli Ynetnews has reported that the soldier was wounded in his leg and moved to the Hadassah Medical Center, in Jerusalem. The police said the attack “appears to carry a nationalistic motive”; police officers initiated a search campaign in an attempt to locate the alleged stabbers. 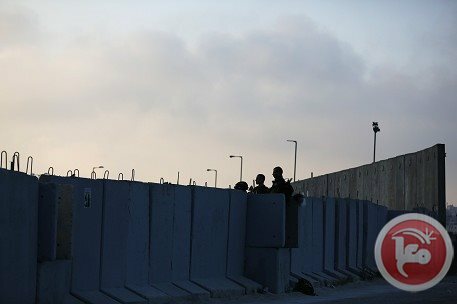 In related news, the Israeli Radio said that rounds of live ammunition were fired at Israeli soldiers manning the Qalandia terminal, north of occupied Jerusalem. The incident did not lead to any injuries; the army claimed the shots came from the nearby town of ar-Ram. A group of youths from Bethlehem's Aida refugee camp set fire to an Israeli watchtower on Wednesday, according to the Facebook page of a local group. The move comes a day after Israeli forces entered the camp to replace a destroyed section of the separation wall, which activists in the area have repeatedly targeted. Aida Camp News 24 Hours posted several pictures on their social media page documenting the incident. An Israeli army spokesman said there were "20 Palestinians hurling rocks and they also rolled a burning tire," but he was not familiar with a watchtower being ignited. Aida camp has seen continuous clashes since Thursday, with more than a dozen Palestinians shot by Israeli forces and nightly arrest raids targeting local activists. Aida camp is located besides Rachel's Tomb, a local holy site that is surrounded on three sides by the Israeli separation wall despite being in the middle of the Palestinian city of Bethlehem. The separation wall runs directly along the camp's borders, with multiple Israeli watchtowers overlooking the area. Palestinian resistance fighters at dawn Monday opened fire at an Israeli military watchtower overlooking Azzun town to the east of Qalqiliya city. Local sources said that masked gunmen opened fire at the watchtower in Al-Mantar area in Azzoun town before Israeli military reinforcements stormed and started to search the area. In an earlier incident, scores of angry Palestinian young men clashed last night with invading Israeli troops in Zababda town to the south of Jenin. According to local sources, a large number of Israeli soldiers aboard more than 15 military vehicles stormed the town last night for the second time in a few hours. Several young men suffered injuries when the Israeli occupation forces attacked them with tear gas grenades and rubber bullets. One young man sustained a fracture in his chest and was rushed to hospital. The murder of Hamza Abul Heija and two of his friends a few days ago caused widespread tension in the West Bank and aroused the Palestinian indignation further against the Israeli occupation. A settler who mistakenly wandered into a northern West Bank village on Sunday has been returned to Israeli authorities by the Palestinian liaison office, an official said. Ghassan Daghlas, a Palestinian Authority official who monitors settler activities in the northern West Bank, told Ma'an that a settler from the illegal Israeli outpost of Homesh "accidentally" walked into the the village of Burqa west of Nablus. The settler "begged and cried" as he was beaten up by dozens of school children, before locals intervened and took him to the Palestinian liaison office, Daghlas said. Liaison officials then delivered the man to their Israeli counterparts, he said. Homesh was evacuated by Israeli authorities in 2005, and in September, Israel's military said that land confiscated in 1978 to build the settlement would be returned to its Palestinian owners in Burqa. In recent months, however, armed Jewish settlers have been trickling back to try and reestablish a permanent presence there, locals say. The Hebrew media said that thousands of Israelis, including officials and journalists, received threat text messages on their cellphones from Al-Qassam Brigades of Hamas. According to Maariv newspaper, some of these text messages read, "Hamas chose you to be the next Gilad Shalit," "Hamas vowed to avenge and there would be vengeance," and "In the next war, all Palestine will be restored and Al-Qassam rockets are there waiting for you, but if you want to survive, you have to leave our land." The newspaper added that Al-Qassam Brigades of Hamas was able to infiltrate an Israeli website and send text messages to thousands of cellphone numbers, in addition to emails to some journalists who deal with the Israeli army. In another incident, Al-Qassam Brigades disclosed on Saturday a video recording showing Israeli war minister Moshe Ya'alon in the range of Al-Qassam sniper fire as he was visiting a border area near the Gaza Strip. Political analysts described these incidents as part of the psychological warfare being waged by Al-Qassam Brigades against the Israeli occupation. The military wing of Hamas sent threatening text messages to Israelis on Saturday, 10 years after the Palestinian Islamist movement's spiritual leader was killed in an Israeli air strike. Israelis, as well as foreign reporters in Israel, received messages reading: "If Gaza will be attacked the life of the Zionists will be hell" and "In the next war all the Land of Palestine will return." A Hamas source told AFP it was the work of the group's military wing Ezzedine al-Qassam Brigades, timed to coincide with the anniversary of the killing of Sheikh Ahmed Yassin. "Al Qassam has chosen you to be the next Shalit," another message read, referring to Israeli soldier Gilad Shalit, who was abducted and held in Gaza for five years until Hamas freed him in exchange for more than 1,000 Palestinian prisoners. The messages were sent from different cell phones. The owner of the only one who answered an AFP call was an Israeli man who said his line had been hijacked. The email account of an Israeli security-oriented newsletter, IsraelDefence, was also hacked and an email posted on Yassin's killing. "We don’t forget the blood of our sheik, We swear again to take revenge, and this time by taking off the head of your leaders," read an email. "Zionist killed our sheik by missile and now our missile can hit every corner of Zionist state," it read, signing off as "Sheikh Yassin's Followers." Ahmed Yassin, who was founder and spiritual leader of Hamas, was assassinated in an Israeli air strike in 2004. An Israeli police spokeswoman said she was unaware of the hacking incidents and that no complaint had been filed. 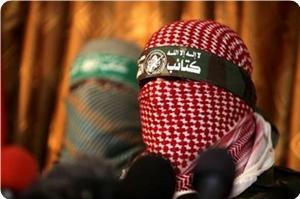 Israeli news website Ynet said Hamas had sent similar messages during past conflicts with Israel. The Israeli military frequently sends threatening mass text messages to residents of the Gaza Strip, which is controlled by Hamas. These messages are sent most often during periods of conflict. Israeli forces closed all entrances to the village of Burin near Nablus on Thursday, preventing locals from leaving or entering their village, hours after a Molotov cocktail was thrown at an Israeli settler bus as it was passing by the nearby village of Madama. Locals told Ma'an that Israeli forces closed the entrance to the village's main street near the Hawwara checkpoint south of Nablus with sand barriers. Israeli soldiers were stationed at the barriers to ensure no locals were able to pass. The Molotov cocktail thrown earlier in the day resulted in no injuries, Israeli sources said, but caused physical damage to the bus. 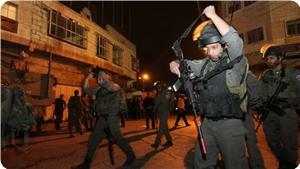 Following the incident, Israeli forces launched a search for the culprits in the area. 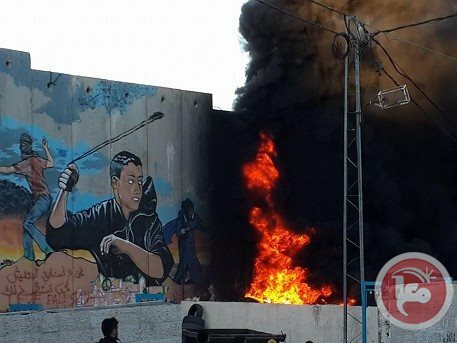 An Israeli army spokeswoman said that Israeli forces had closed one of the entrances to Burin after the Molotov cocktail was thrown, but said that other entrances remained open.